Sustaining a brain injury can be a painful experience, but you can pursue a lawsuit. Here is what you need to know about traumatic brain injury. Each of us is at risk daily of sustaining a traumatic brain injury, or TBI. In Nashville, traumatic brain injury doesn’t have to occur from a car crash. It can result from a fall or a blow to the head with an object. In 2010, the CDC reported that about 2.5 million people had sustained a traumatic brain injury. Many of those are concussions, a milder form of traumatic brain injury. But concussions can lead to serious physical, emotional, and cognitive damage. 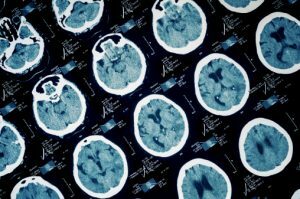 Read on to learn some more facts about traumatic brain injury from our Nashville traumatic brain injury attorneys. A traumatic brain injury can result from any event that causes a head injury. An automobile or motorcycle accident are often the cause. But striking your head in a fall can also cause a TBI. TBIs are not always easy to identify. You may not recognize the symptoms as TBI related. Or the symptoms may take a longer time to show up. Whiplash often results in brain injury. Any event that jerks your head or jolts your brain inside your skull can cause a TBI. A rear-end collision or a carnival ride are some examples. If you ignore symptoms and continue normal activity, you may be in danger of causing more damage. It’s essential to educate yourself about symptoms and to be aware of physical, cognitive, and behavioral changes in the weeks and months after an accident. We are so used to hearing about football players getting concussions frequently that we may not consider such an injury a serious matter. 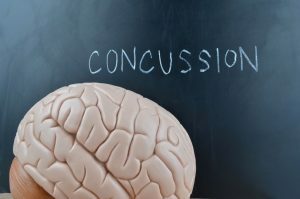 But the consequences of a concussion can impair our health and our ability to function in ways similar to a severe TBI. A concussion is a mild form of traumatic brain injury. Falls are the most common cause of concussions, with car crashes and sports accidents being the next most common causes. During a concussion, the brain can incur bruising, swelling, and a lack of blood and oxygen necessary for normal function. If not addressed, damage to the brain can affect normal functioning over time. If you suffer a head injury, it’s important that you get a medical exam and follow the proper concussion protocol to avoid further damage. Perhaps you have heard that getting a TBI diagnosis requires a loss of consciousness. This is not so. As a matter of fact, people who have suffered a mild TBI may look and act normally, but the effects of the injury can show up much later. Much of the medical testing done today is not sensitive enough to detect small lesions in the brain caused by a TBI. With time, this damage can have an impact on cognitive, physical, and emotional health. Every traumatic brain injury case in Tennessee is different and the symptoms people with TBI suffer will vary. In some cases, symptoms may resolve quickly, while others may take months or even years to resolve. Some TBI sufferers may live with symptoms their whole lives. The average recovery time for a TBI is between 6 months to 2 years, but every case is different. In most cases, people will continue to have problems they will need to manage with medication or therapy. A full recovery for people with severe TBI is more challenging. Even those with a mild to moderate TBI may continue to experience symptoms connected to the injury. A person who is comatose because of a TBI may have some improvement in his/her ability to respond, but progress is usually slow and full recovery is less likely. TBIs have serious consequences and can be debilitating and even deadly. TBIs from major accidents are readily recognized as serious and could result in bleeding in the brain, a skull fracture or coma. 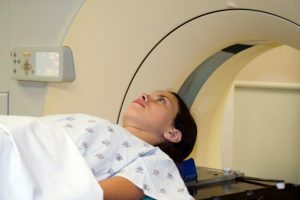 In some cases, studies have found a connection between TBIs and a later onset of Alzheimer’s disease. If left untreated, symptoms can get worse over time. This damage to the brain causes a dysfunction that can impact the ability to perform basic daily activities such as work, personal care, managing finances, or social interaction. Injury to a certain part of your brain will determine what impairment there may be to your ability to function. For example, injuring your forehead can affect your judgment, language, and emotions. It can cause mood changes and difficulty with problem-solving. On the other hand, injury to the side of the head can cause difficulty in hearing and understanding the spoken word. Treatment for a TBI will need to address the type of injury sustained. When you or your loved one sustains a TBI, it’s a good idea to see a neurologist or neuropsychologist to determine the extent of the damage. You should have a medical exam within 72 hours of an injury, even if you are not experiencing any symptoms. Schedule an appointment with a chiropractor if your family doctor is not immediately available. Ask for a CT-Scan and MRI. Inquire about any new technology available that can detect brain lesions. This information will be essential should you need to pursue litigation for a Nashville traumatic brain injury sustained after an accident. The economic impact of a TBI on a family can be devastating. Medical costs, emotional trauma, psychological counseling, and loss of income can have a severe impact on a family’s well-being. The cost of healing from a TBI can range from $85,000 to $3 million, depending on the severity of the TBI. If you’ve sustained a TBI, it’s critical that you find legal advice to discuss how you may be able to recover your losses. Many people with TBIs may look and act normal but have symptoms like memory loss, poor motor skills, or inability to do simple math that aren’t evident. Keeping good records is helpful in documenting potential issues in traumatic brain injury cases. Insurance companies want to avoid paying damages for your claim. They will question a connection between your symptoms and the injury you sustained from your accident. They may try to attribute your symptoms to other causes. Work with a law firm that’s knowledgeable about Nashville traumatic brain injury cases. If you lawyer determines you have a viable case, you may be able to recover compensatory damages. These include the cost of medical expenses, lost wages, or replacing lost property. It may also include damages for pain and suffering. There may also be the possibility of recovering punitive damages. But these damages have limits. And an award depends on showing outrageous behavior on the part of the defendant. Your Tennessee lawyer can explain these damages and how they apply to your traumatic brain injury to determine if they apply to your case. 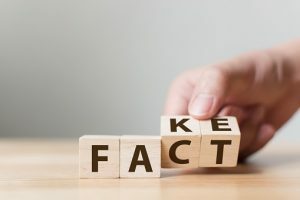 In a traumatic brain injury litigation case in Tennessee, insurance companies will try to prove you are faking your symptoms and will investigate you thoroughly, including things like your school records and work history. An insurance company may call you and record the conversation looking for information that will help their case. That’s why it’s so important to have a good legal strategy. Most importantly, find a Nashville traumatic brain injury expert who can advise you and guide you through the litigation process. Sustaining a brain injury can be devastating to your health and way of life. But a specialist in TBI litigation can counsel you on how to recover your losses. At Rocky McElhaney Law Firm, our traumatic brain injury lawyers are personal injury experts. We specialize in traumatic brain injury cases in Nashville and throughout Tennessee. We help people put their lives back together after a serious injury. To learn more about our work, contact us today.